White Masterbatches are made with unique recipe and additives, which give excellent dispersion, gloss, supreme whiteness and optimum opacity level. The content of TiO2 varies from 30% to 75% to give optimum value for the product. Colour Masterbatches are available in wide range of colours. 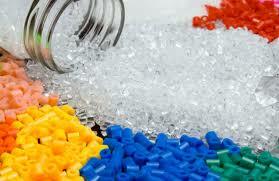 The Masterbatches & compounds are manufactured for various types of polymers on latest equipments and thoroughly tested. The dosage level depends on applications viz injection moulded products, blow moulded product, film extrusion, yam, filaments etc. and hence varies from 1% to 8%. Sectors : Automobile, White Goods, Caps n Closures, Sheet Extrusion, Pipe Extrusion, Agricultural films, Mulch Films, Non-woven, Woven sacks, and other films and moulding applications.